Risk Education for DUI Offenders. Reduce Your Risk of EVER Getting Another DUI! Take the DUI Class on Your Computer. Complete your DUI class requirements from home or from a computer you access regularly using this fully approved and respected program. 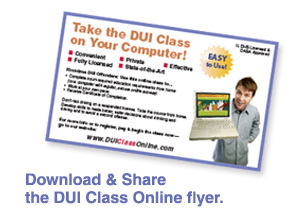 Take the court-ordered DUI class from home. Complete the 10-hour court-ordered DUI education requirement from the privacy of home (or any computer with secure access). Work at an individual pace. Review the information any time and complete within 30 days. Complete and pass the class to get your certificate. 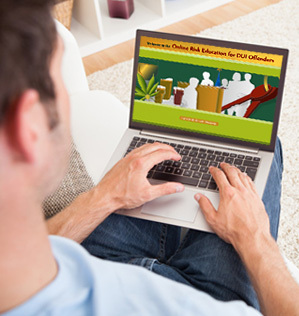 Developed and operated by Intervention Instruction, Inc., DUI Class Online meets the rigorous content and security requirements for state-mandated risk education for driving under the influence offenders. As one of the oldest and most respected DUI risk education providers, Intervention Instruction has been helping drivers for more than 30 years. 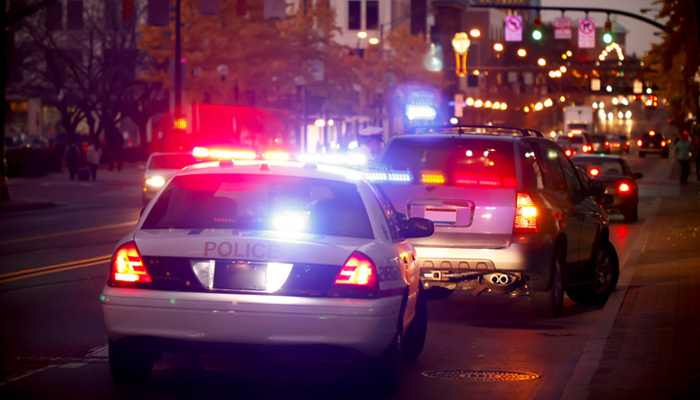 At www.duiclassonline.com, DUI offenders meet their sentencing requirements by examining their behavior and understanding the consequences of drunk driving or driving under the influence of drugs.